Imagine coming home to Estancia, a beautiful custom home community in Centennial featuring 1 acre and larger home sites. You'll love this Tuscan inspired ranch home nestled in a lovely cul-de-sac. This elegant home showcases exquisite finishes with thoughtful design and attention to architectural detail certain to delight you. Enjoy expansive living with open and gracious spaces, floor to ceiling windows, and multiple French doors beckoning you to your outdoor living. The Yorkshire boasts a professionally designed chef's dream kitchen including top of the line Thermador appliances. The breathtaking master suite is a perfect retreat with private fireplace, sitting area and luxurious spa bath. The fabulous finished lower level that includes a media room and beautiful wet bar, perfect for relaxing and entertaining! 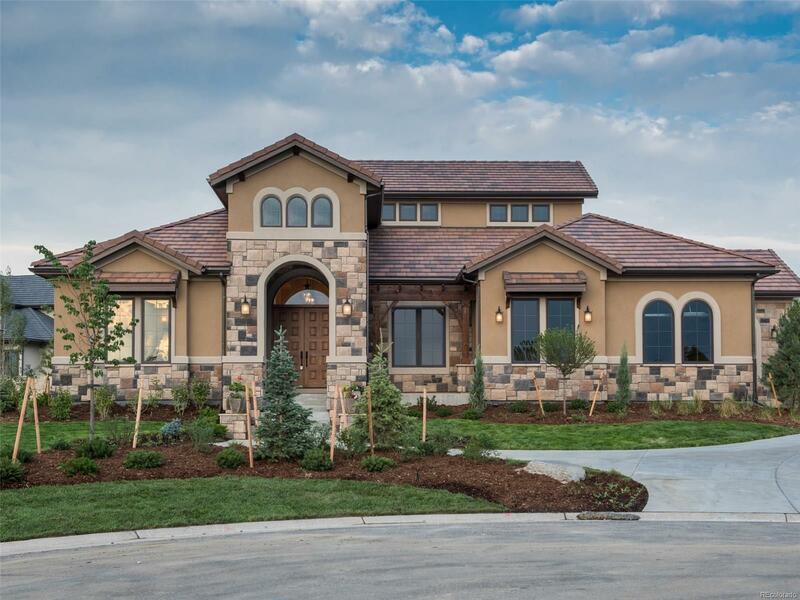 This is the last Emerald Homes' Manor Collection home in Colorado. Don't miss out on this incredible opportunity to live in a new custom home with builder warranty in Estancia!